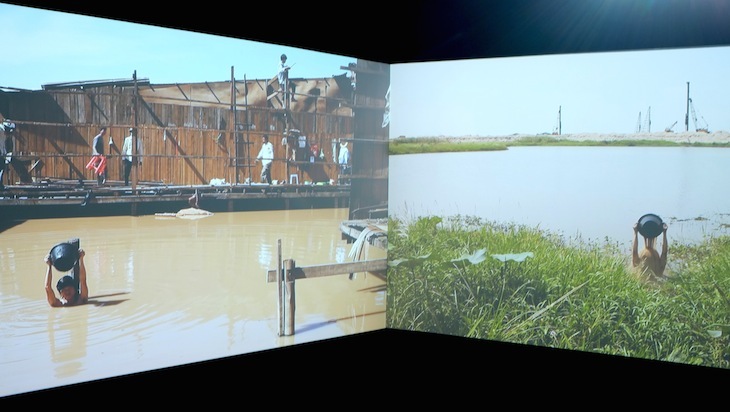 singapore biennale 2013: if the world changed . part 2 . 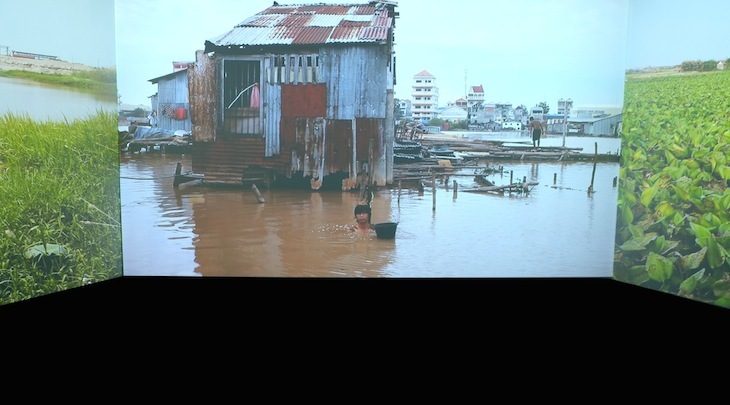 Pei Jhu K.
Beginning in 2010, the artist was drawn to Phnom Penh's public lakes - vital urban hydraulic systems and vibrant residential areas that have become contested sites as the Cambodian government allows them to be filled with sand and offered for private sale. Reaching to this before it became global news, Khvay entered the lakes at different stages of their 'development' and poured a bucket of sand over his head. Untitled brings these succinct acts into wider view. Comprising more than 4000 kg of saga seeds collected from across Southeast Asia, Anahata is a site-specific installation located in the heart of the Singapore Art Museum. In Hindu cosmology, the word refers to the fourth and 'heart' chakra, meaning 'unstruck' or 'unhurt'. The idea of change is expressed here not as an active force or physical manifestation, but rather as sheer potential energy as embodied in the seed, which holds the life-force of an entire tree in its kernel. The work recalls the history of the site as a former Catholic boys' school, a place where knowledge and learning were planted. Pulsing with the energy of thousands of seeds, Anahata intimates that the greatest power is that of pure possibility. This work Telok Blangah features a kolek Melaka (traditional fisherman's boat from Melaka) filled with thousand glass bottles inscribed with messages from male prison inmates in Singapore. These messages describe the inmates' hopes and aspirations while serving their sentences and upon their release.